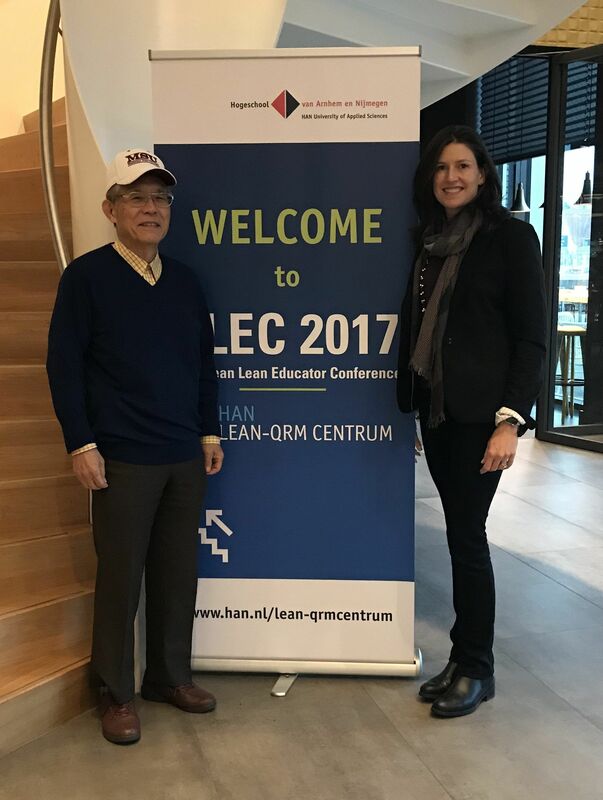 Last week I had the pleasure of participating in the European Lean Educator Conference (ELEC2017) held in Nijmegen, the Netherlands. After not having been to Europe for over six years, it was exciting to have two opportunities to be in Europe for two different events in a three week period – one to Switzerland at the end of October for a client and then to the ELEC2017! 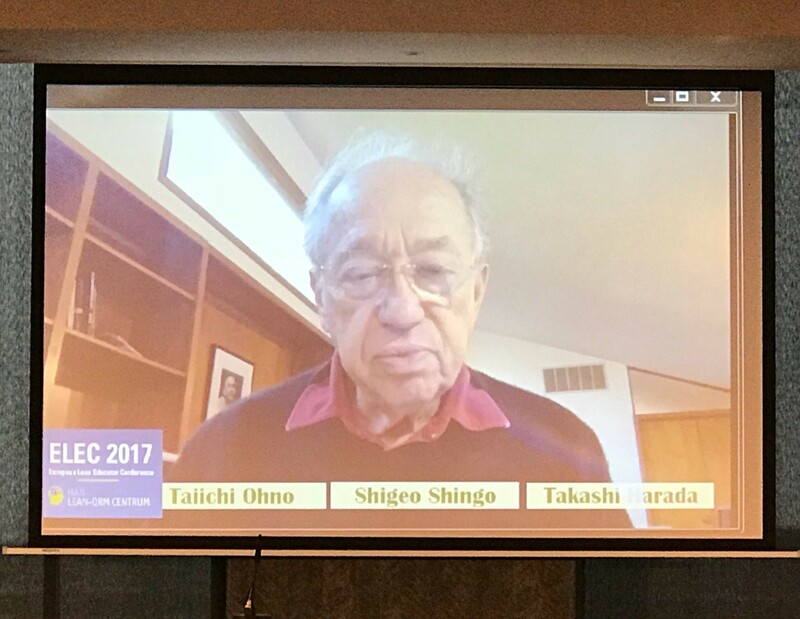 I was invited by the conference organizer Jannes Slomp to give a plenary session and teach a pre-conference workshop, and was thrilled that my friend and mentor Mr. Isao Yoshino was also part of the event and to spend time together in a country foreign to us both! If you don’t know about Mr. Yoshino, a 40-year Toyota leader and the first manager of John Shook at Toyota, you can read the series of insights I’ve learned from him on this blog or you can click here to get a PDF of the top 10 Toyota leadership lessons that Mr. Yoshino shared me in 2015 & 2016. Professor Slomp welcomed us with amazing warmth and hospitality. 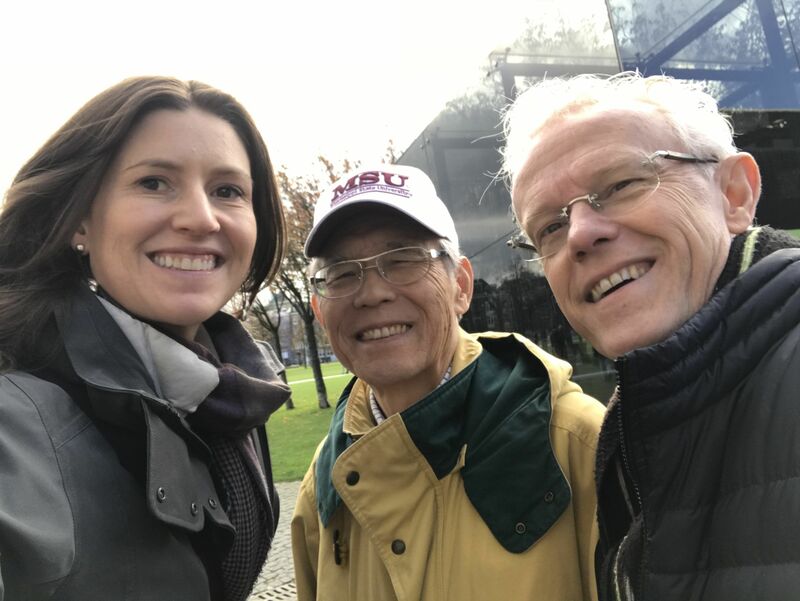 He put together a wonderful week for us in additional to the formal conference event, including dinner at his home with his wife, a gemba visit to a Dutch company, and several discussions with improvement and operational leaders about hoshin kanri, leadership and developing people. Mr. Yoshino and I stayed in a wonderful bed and breakfast in the hometown of Professor Slomp, rather than the main conference hotel, which was a wonderful opportunity to not only spend some more time together but also to see more of life in a “regular” Dutch town. Thank you, Jannes, for a wonderful week. I look forward to meeting again soon. 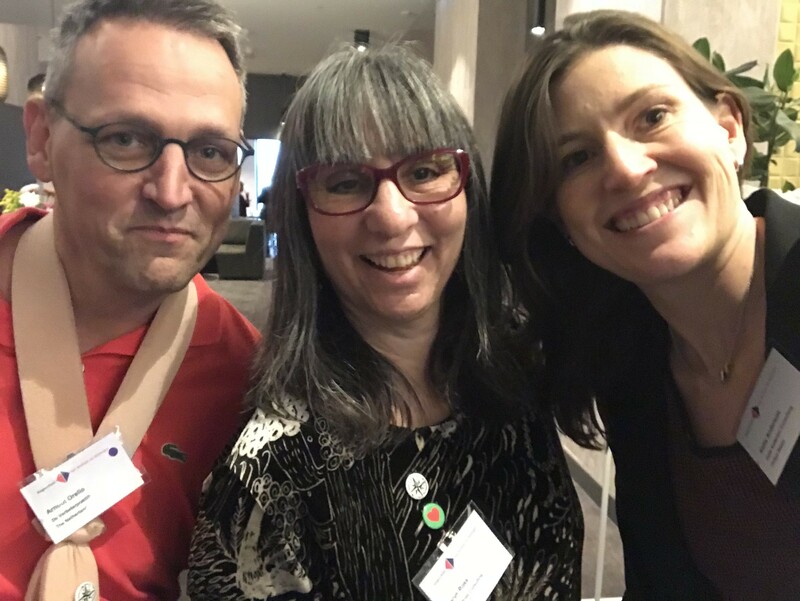 The conference itself was an opportunity not only to meet many new colleagues and lean thinkers, but also come full circle on several relationships that I’ve developed over the past few years. And of course, it is always a pleasure to make new connections. I thoroughly enjoyed the entire event and the opportunity to connect with so many people from around the world. And I was impressed, though not surprised, with the level of complete fluency in English that everyone at the conference demonstrated. I unfortunately came down with a horrible sore throat immediately after arriving to Europe, but thankfully was able to speak, albeit with a bit of a husky voice, by Tuesday when I taught my workshop. 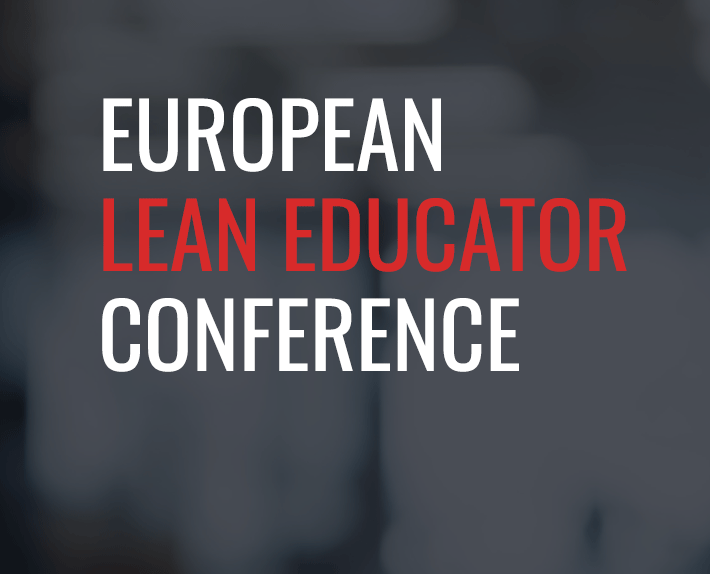 One of the biggest take-aways for me from the European Lean Educator Conference, and one that I emphasized in my plenary talk, is that lean practice is much more than technical process improvement. Lean is about developing people – ourselves, others, our cultures, and, ultimately, all of humanity. 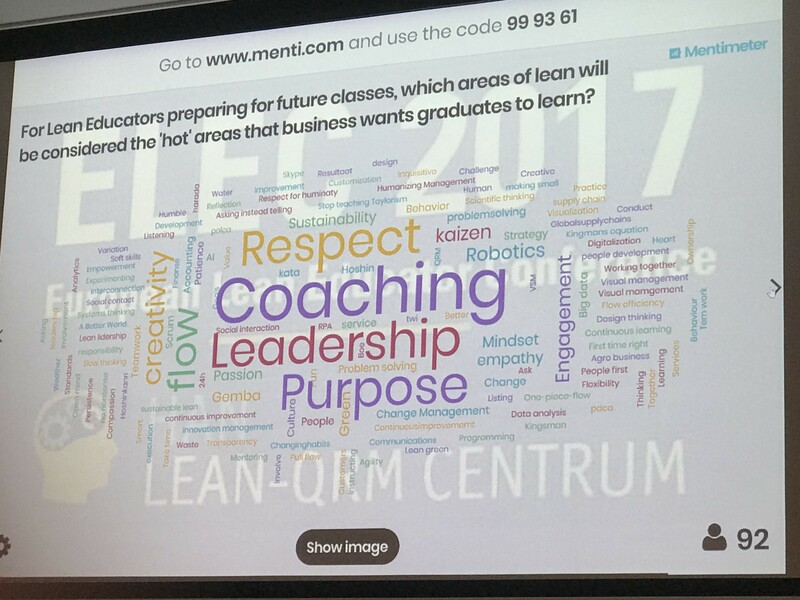 At the end of the event, attendees were asked to electronically vote on the most important topics related to Lean for future leaders to learn – and the top words were all related to people: Coaching, Leadership, Purpose and Respect. Vincent – may your daruma help inspire you to persevere and achieve your goal! Multiple talks and sessions, including my own, focused on developing ourselves as leaders. To fit with this theme, I brought daruma dolls with me to spread my obsession with these visual reminders of personal goals. I gave away about 15 darumas over the course of the week. I’m in need of stocking up on more when I go back to Japan in two months! 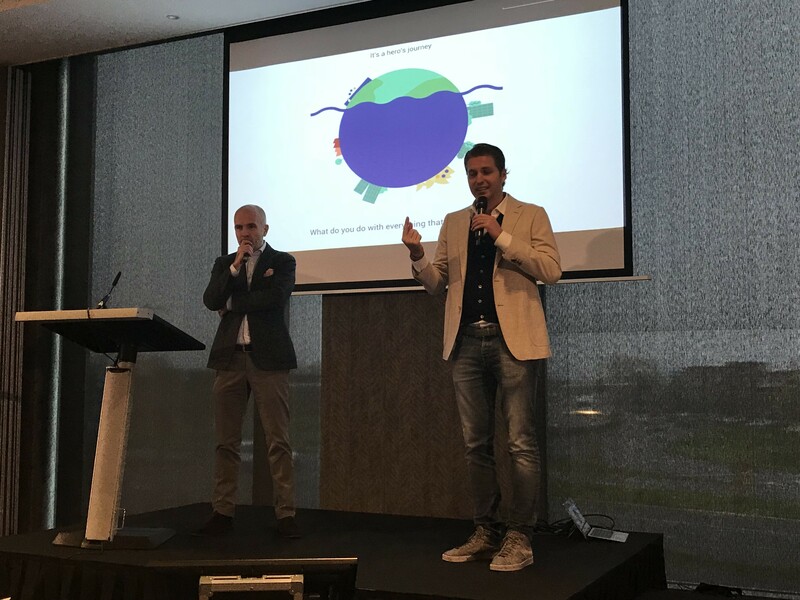 Immediately preceding my plenary talk was Peter van den Hoogenband, the former Olympic swimmer, and Vincent Wiegel talked about the parallels of personal goal achievement with lean thinking. Peter van den Hoogenband sharing his practice towards achieving Olympic gold. Peter shared his experience of setting his goal to achieve Olympic gold medals in swimming and how through setting a target, working with a coach, focusing on small improvements and deliberate practice, he became the first man to swim 100 meters in under 48 seconds at the 2000 Olympic Games in Sydney. They encouraged us all to frame our own personal journeys as a “hero’s journey” and tell our own story of improvement and achievement. At the break I had a chance to talk with Pieter about Japan and both of our work, and also gave him a daruma (but of course!) for his next goal in life. Peter and Vincent’s talk was the perfect segue to mine, which focused on developing our own competencies to develop others and how to use PDCA or A3 thinking for personal development (you can see more details about the Personal Improvement A3 / PDCA process in previous posts here). The ELEC had the best conference summaries I’ve ever heard – done by a musician! I haven’t figured out how to post a video on my WordPress Site, but will share the sung summary of my talk in an upcoming post (If you know how to do this, please send me a message). Norman Bodek spoke to us via a pre-recorded video stream about his experiences in Japan and with the Harada method for improvement. He was followed by Jim Lippens who shared his own transformation experience of applying the Harada method for self improvement. The Harada method sounds philosophically well aligned with my own thinking and teaching on the “social side” of Lean and I’m intrigued to learn more. 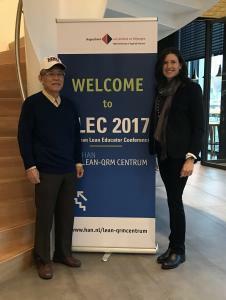 There was a lot of discussion and many questions at ELEC2017 about the impact national culture has on the ease of Lean thinking and practice, including if being Japanese makes Lean easier. 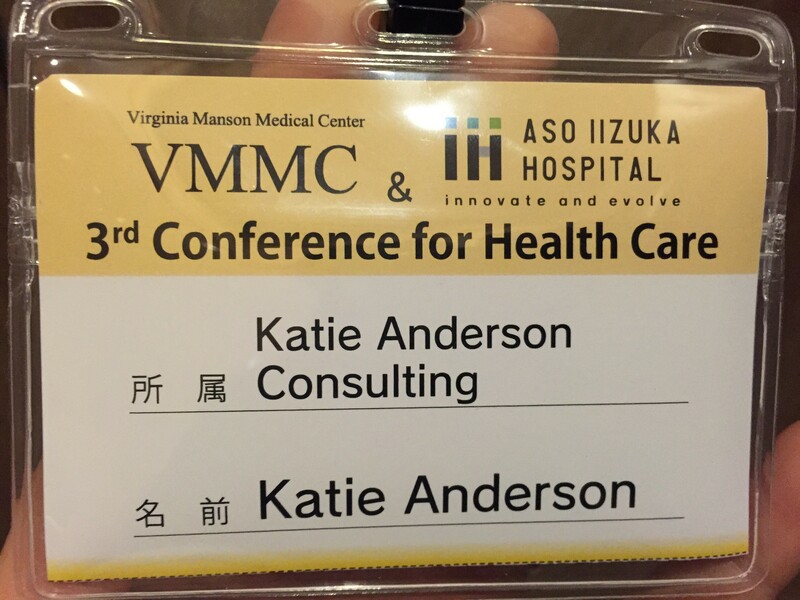 Indeed, every country and organization has its own unique strengths and limitations that impact their ability to be “lean” – Japan and Japanese companies are no exception. The Toyota Way is continually evolving and improving to meet the needs of the organization today, perhaps in part as new countermeasures for the current limiting conditions of today’s cultural and organizational environment. 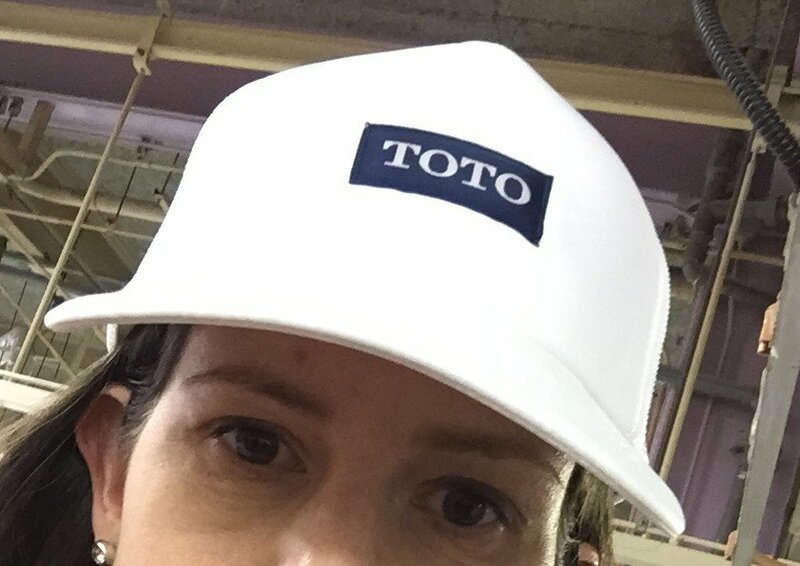 The core principles of the Toyota Way – relentless focus on continuous improvement through respect and engagement of people – are a uniting focus across “lean thinking” organizations in Japan and globally. 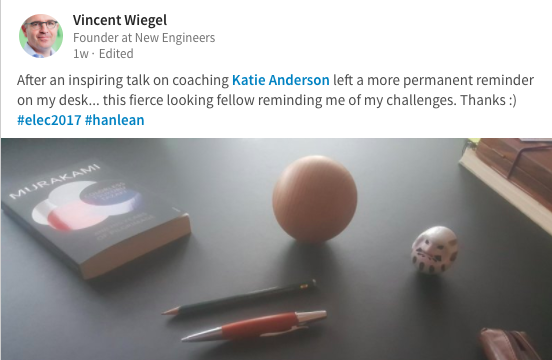 How each organization applies the principles of lean in its unique context will vary. During the week I got to participate in Mr. Yoshino’s workshop on hoshin kanri and practicing the process on personal goal-setting. It was great to meet and practice my personal hoshin with Gunars Caune (who will likely be pleased to see that I’m keeping my target for personal refleciton and writing time! Don’t forget to email me, Gunars, so we can set a follow up time in early 2018). Karyn Ross and I have been corresponding for the past year and we were both excited to finally meet in person. It took traveling outside of North America to coordinate our schedules! I was inspired by Karen’s talk about connecting with purpose and her personal purpose to improve humanity. She passed out these pins to everyone at the event. 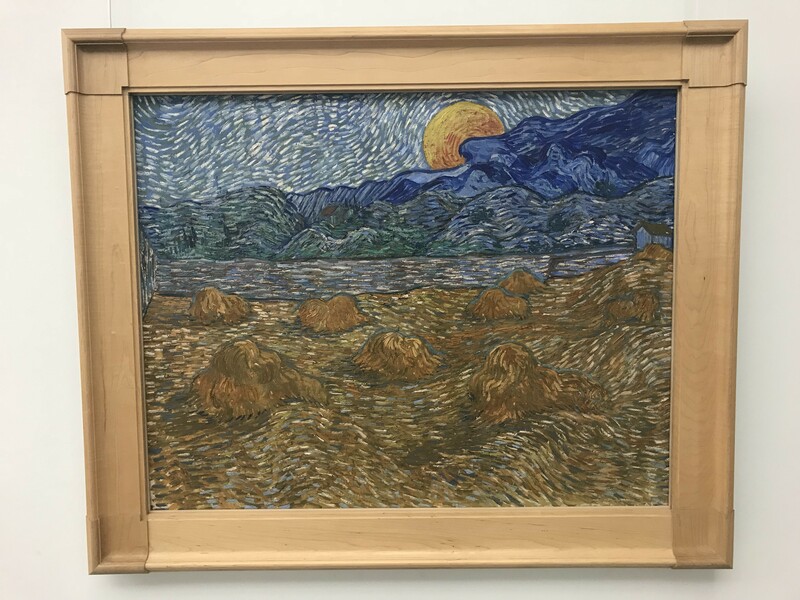 Karen, Dennis Gawlik (another colleague from the U.S, Joakim Hillberg from Sweden, Mr. Yoshino and I made a pre-conference excursion to an amazing art gallery that houses the second most number of Van Gogh’s outside of the Van Gogh Museum in Amsterdam (which I also got to visit before flying home over the weekend). Every conference should be bookended by creativity and artistic inspiration! Mr. Yoshino, Dennis and I also accompanied Jannes Slomp for a gemba visit on Friday local manufacturing organization to walk the shop floor and talk about leadership and hoshin with a group of operational and improvement leaders. I also got to meet Arnout Orelio in person, at last! Arnout was an early follower of this blog when I started it nearly three years ago, and he has the distinct honor of being my first – and only – guest blogger! He was so inspired by my writing about Mr. Yoshino that he went to a conference in the U.S. in 2015 and subsequently wrote about his experiences as a guest blog post. Today is the start of a much needed vacation with my family after two months of fairly busy (but interesting and fun) work travel. Like I wrote about in my most recent blog post, I’ve realized that making time to reflect through writing is essential to my life. Upon arrival to our island rental house, I realized that I first needed the reflection time about the past week of learning and experiences before I could unplug. So I’ve found a few hours for some quiet reflection time and writing. And now, once I hit “publish” it is time to go out to spend time with my kids and extended family. In future posts, I will write another installment of “Toyota Leadership Lessons” about insights learned from Mr. Isao Yoshino as well as some of the key points from my recent plenary talk at the ELEC. I also intend to write a second installment of the top leadership lesson’s I’ve learned from Mr. Yoshino. If you haven’t already seen it, you can click here to get a PDF of the top 10 Toyota leadership lessons that Mr. Yoshino shared me in 2015 & 2016.